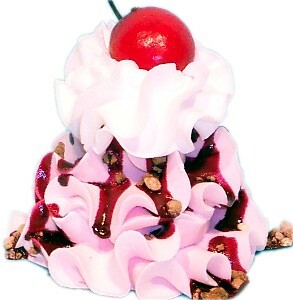 I purchase 4 of these realistic looking delightful Cherry Top Scoop Swirl fake ice cream for a different look for setting my table. After 4 years they are still looking just as vibrant looking. All that see them think I have set the table for them to sit down and eat. Thanks Decor Central for giving my dining room table setting a unique and fresh look always.